At last the whole story of Father Leonard Feeney, renowned poet, writer and theologian, who accused the Boston Hierarchy of heresy in 1949, when he and his students at Saint Benedict Center uncovered a complete agenda underway to sell out the Roman catholic Church by undermining its doctrines, especially extra Ecclesiam nulla salus, Outside the Church there is no salvation. After the silencing of Father Feeney this doctrine was labeled a "dead horse" issue, yet its truth continues to haunt the faithful. Mr. Potter masterfully handles the issues doctrinally and historically and at the same time he gives clear and precise data on the present Saint Benedict Center. To go after something is to inquire into it, to be in search of it, to seek the truth about it. 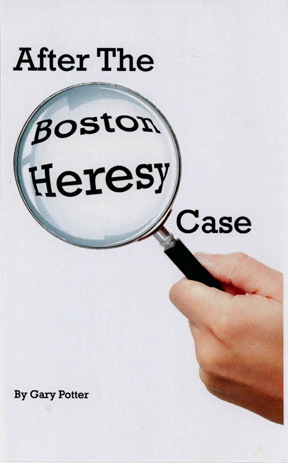 In this book, veteran Catholic journalist Gary Potter goes after the truth concerning one of last century’s principal religious controversies, the so-called Boston Heresy Case, and its chief figure, Rev. 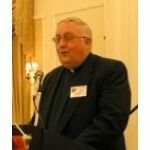 Leonard Feeney, S.J. The most famous Jesuit of his day, Fr. Feeney broadcast on the radio, his books were best sellers, his poetry was mandatory reading in parochial schools. Suddenly, newspapers throughout the country were reporting that he was charged with heresy, expelled from the ranks of the Jesuits, and even “excommunicated.” Now his verse was removed from textbooks and Catholics were forbidden by high Church authorities to have any association with him. 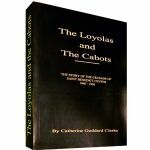 Scores of young men and women, students of Saint Benedict Center in Cambridge, Massachusetts, defied the ban. On Sunday afternoons, they accompanied the famed cleric to Boston Common, the public park where he took to preaching when he was denied a pulpit. Leading magazines labeled him the “hate priest” on account of his preaching. Did he hate? Was he excommunicated? Was it because he preached that outside the Catholic Church there is no salvation? Gary Potter sorts the facts from the myths and the result is more than the true story of Fr. Leonard Feeney and the “Boston Heresy Case.” As Fr. Dennis P. Smith describes it in his Preface to the book: “In an era when our Catholic people and prospective converts are being force-fed on a starvation diet of watered-down doctrine and junk-food liturgy, Gary Potter has provided a banquet for the heart and soul.